At All-Star Transportation, we know safe drivers need safe vehicles. So, we take extra care to provide our drivers with the safest vehicles on the road. Our mechanics are certified by the National Institute for Automotive Service Excellence (ASE), meaning they are very skilled and among the best. 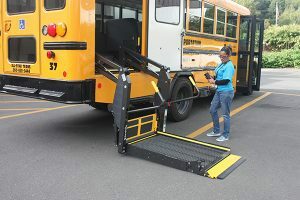 They follow a 90-day/3,000-mile preventative maintenance program that exceeds standards established by the State of Connecticut. The program requires inspecting and recording more than 140 elements on each vehicle. 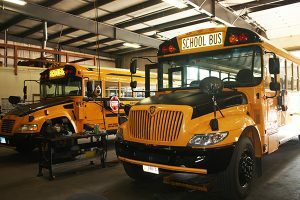 Our drivers also participate in the company’s vehicle safety program by performing and recording a comprehensive 51-point pre- and post-trip daily vehicle inspection report (DVIR) on each school bus they operate. 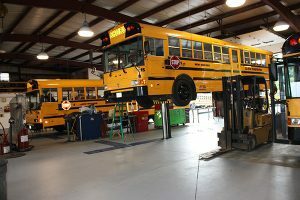 All-Star Transportation incorporates a computerized maintenance program that utilizes laptop computers to quickly and efficiently diagnose our vehicles in the shop and on the road. Our service vehicles are equipped to handle nearly any mechanical issue roadside. Our shops also use waste oil furnaces to help our commitment to a clean environment. Our three full-service shops range in size from 8,000–12,000 square feet and have up to 10 service bays, three wash bays and hydraulic lifts to raise vehicles for thorough maintenance inspection. 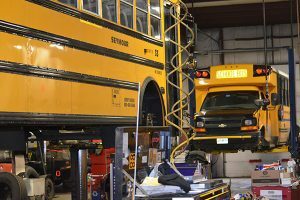 Our mechanics participate in the ASE certification program and we employ multiple ASE Certified Master School Bus Technicians. Today, thousands of professionals hold ASE certifications and work in every part of the automotive service industry. 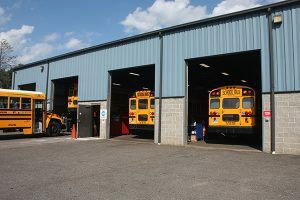 To earn ASE school bus certification, mechanics must pass the ASE School Bus test. All-Star Transportation is a leader in student transportation safety, and the numbers bear that out. 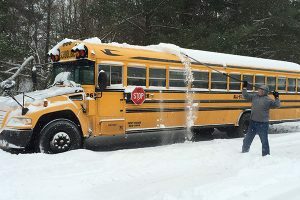 For instance, the most recent annual inspection of Connecticut school bus companies by the Department of Motor Vehicles showed All-Star Transportation as the best among large bus companies (those with at least 100 school buses).